Osprey Morning Photography Boat tour with local guide into Åsnen National Park. 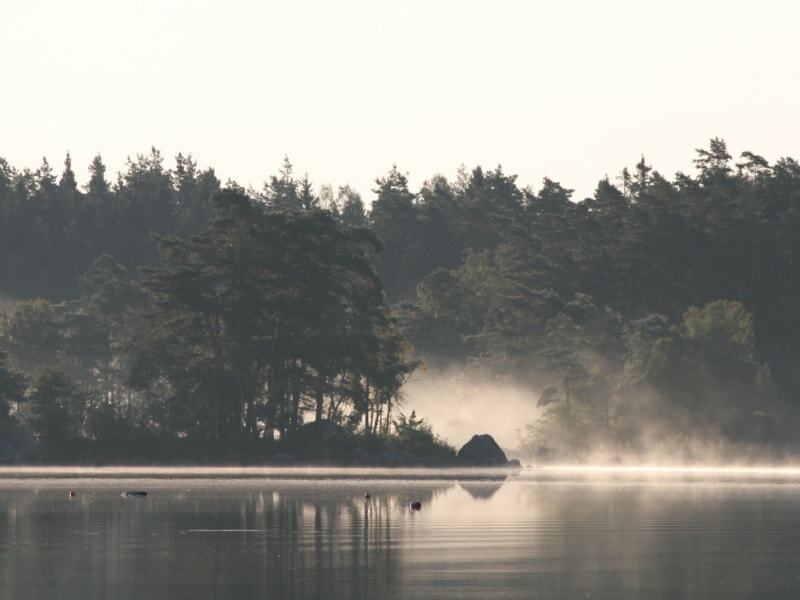 Discover the unique archipelago of lake Åsnen. 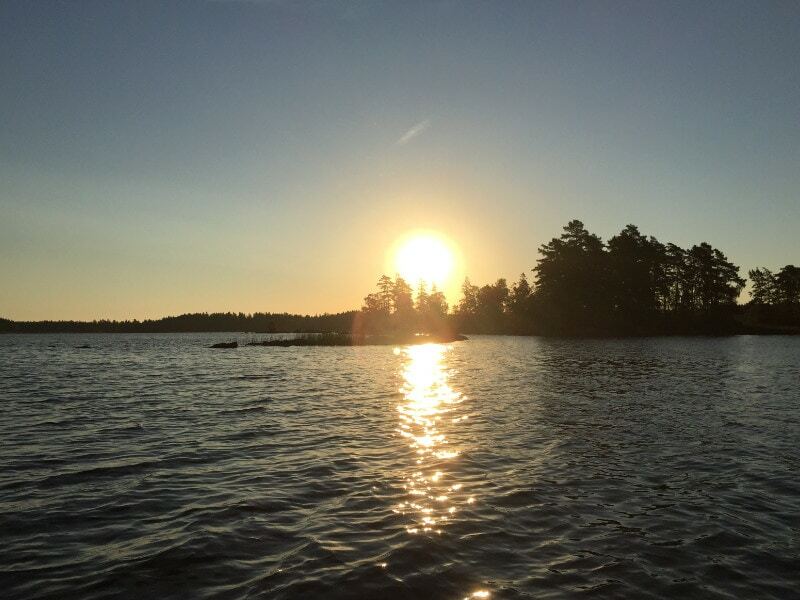 The lake is about 155 km², with over 1000 islands. It is a shallow lake that guarantees a rich bird life. 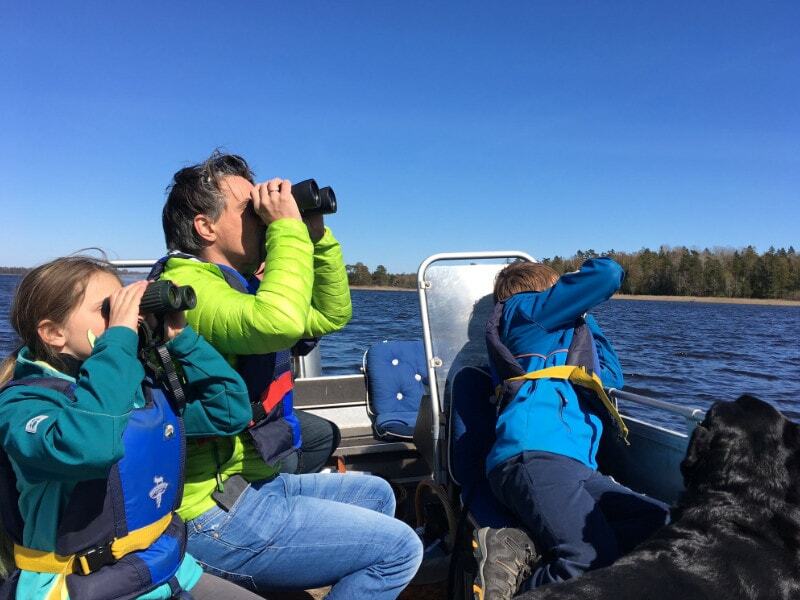 Lake Åsnen hosts about 25-30 pairs of breeding Ospreys. 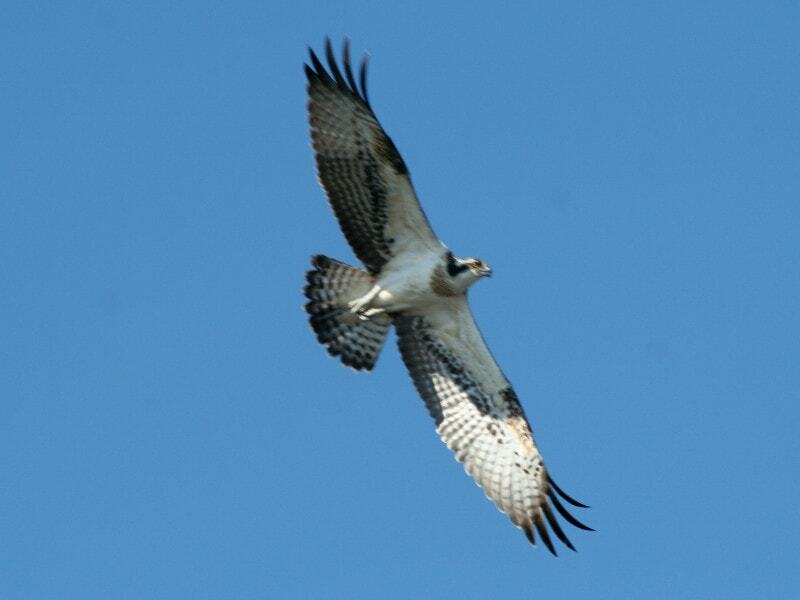 During our trip we will pass many Osprey nests on a safe distance and hopefully you can see them close to the boat. The offsprings begin to learn how to fly in early August. We offer these tours during August and September, to avoid the bird protection time, and we do not want to disturb them in their sensitive breeding time. We begin the boat tour early in the morning. After sunrise the Ospreys are very active catching their morning fish. The light is especially good in the morning so you can take good pictures. At this time of day there are few boats out on the lake. The local guide has the boat and all the equipment ready and gives you instructions before we leave the harbour in Getnö. Everybody on board gets life jackets and binoculars. Peaceful and quiet, the morning fog lifts as the sun slowly rises. If you are lucky, you may hear the calling of the Blackthroated diver which almost takes your breath away. Many times we also see the eagle flying by on big majestic wings. You can also see Grey heron, Falcon, Great crested grebe and many more birds. The experienced guide navigates between the different islands mostly in the National park and around the island of Getnö. It is amazing to see how the Osprey catches its morning fish or just to see them flying easily with their special shaped wings. 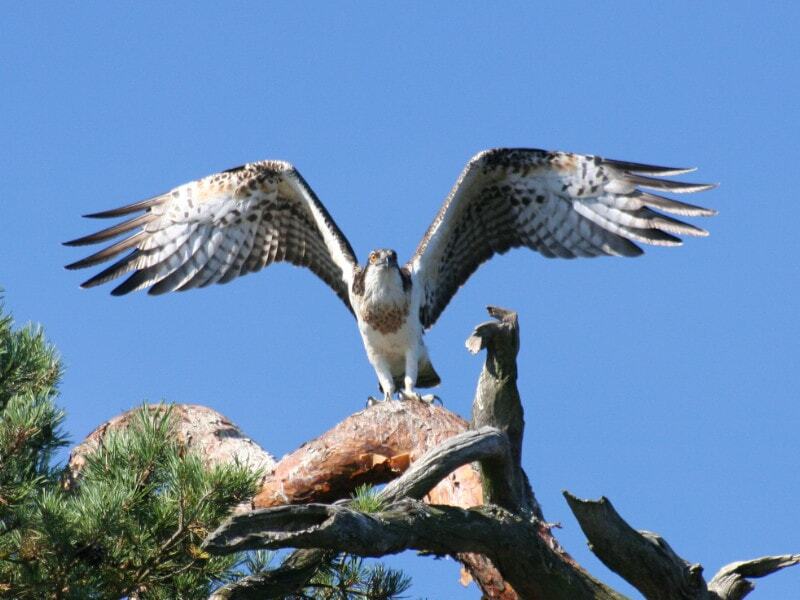 The Ospreys almost always come back to the same nest every year. They arrive here in the month of April to breed, then in late September they travel south to the north of Africa to spend the winter season. 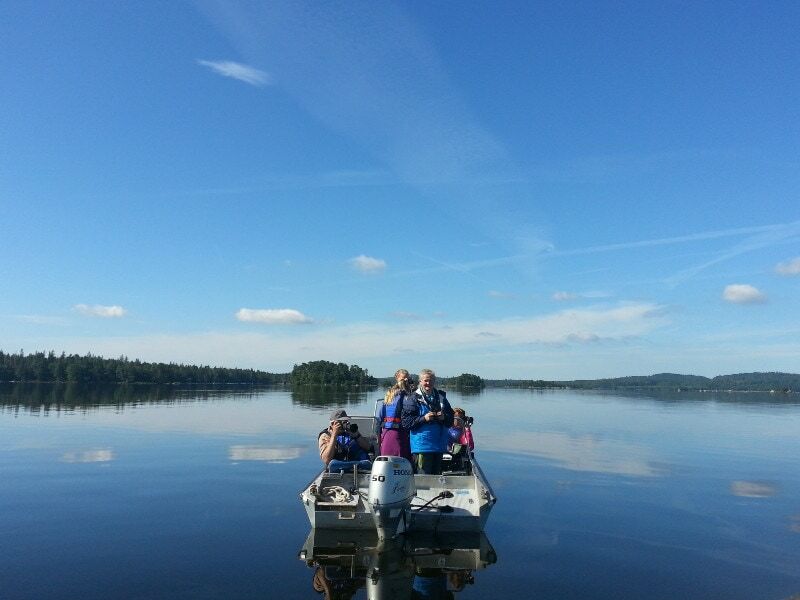 The guide anchors somewhere in a peaceful bay and serves you a “Småländsk Breakfast” on board. With a little luck, you can also see the shy otter, which is the provincial animal of Småland. The boat tour lasts around 4 hours and at the end of the tour, the guide drives back to the harbour on Getnö-Lake Åsnen Resort. After the tour you can stretch your legs on the walking trails on the island or go to the country café for lunch. Includes: Local guide, guide boat, life jackets, binoculars, breakfast on board. If necessary we also have rainwear and warm fleece sweaters. The guide speaks English and German. We only take small groups with local guide for a more genuine experience and minimum disturbance. Från TINGSRYD: (ca 31km/35min) Kör väg 120 västerut, genom Urshult mot Ryd. Sväng höger på väg 120 norrut, mot Alvesta. Efter cirka 2 km stå det skyltar Getnö Gård. Sväng höger och kör igenom det lilla samhället Ålshult. Följ skyltar till Getnö Gård, 7 km skogsväg upp till gården.